The BRS 1.1 mL dosing pump is a very cost-effective yet long lasting stand-alone dosing pump for trace elements and 2 part. 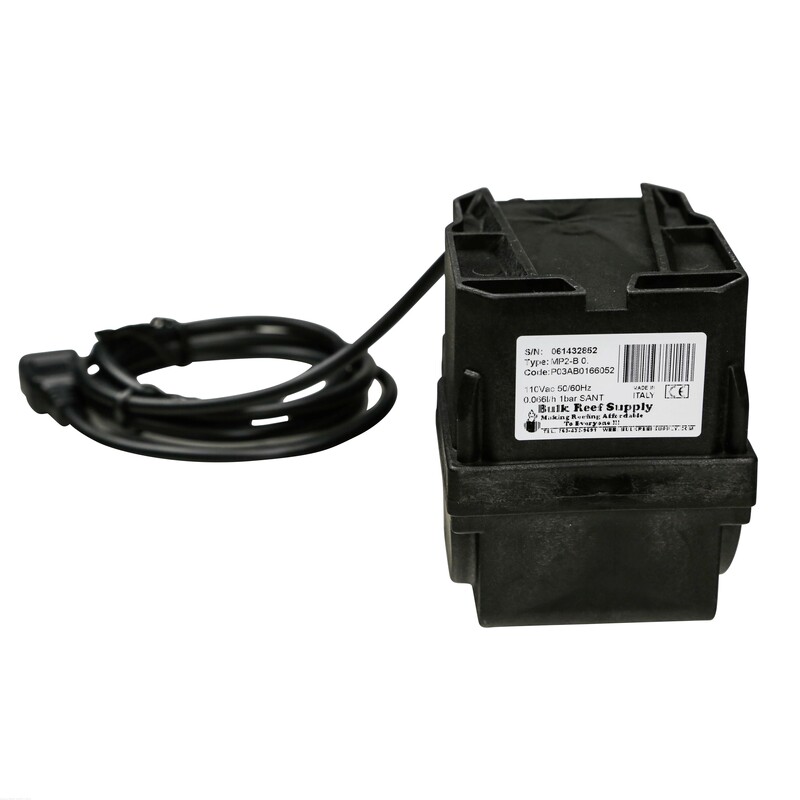 By hooking the pump up to a simple timer or aquarium controller they can be one of the most inexpensive ways to get an automated 2 part dosing system. 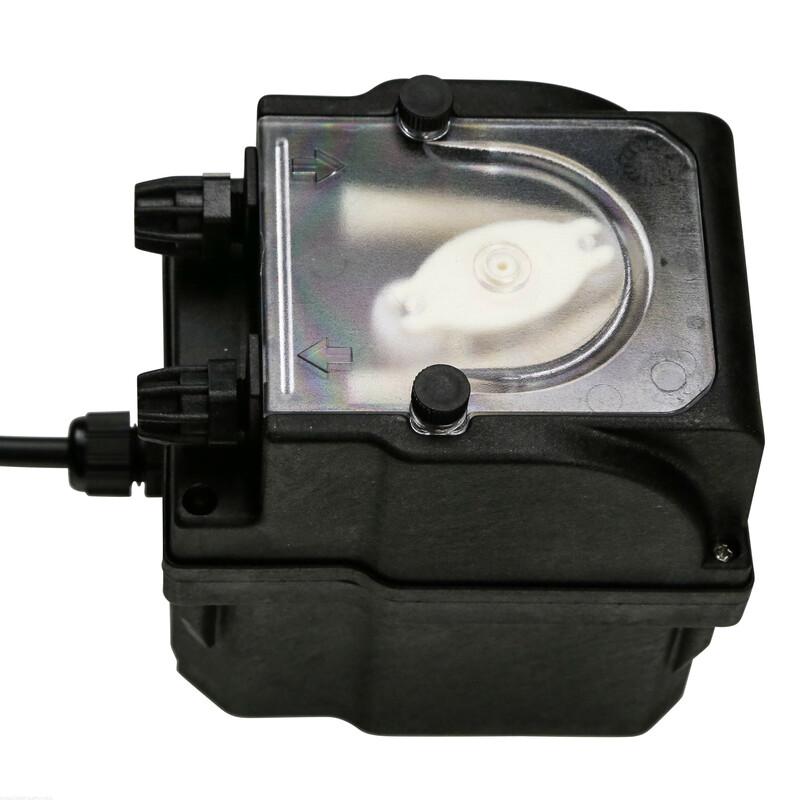 With their peristaltic design, they will not back siphon with extremely accurate flow rates. Each pump is capable of dosing a single solution. You will need two pumps to automate both calcium and alkalinity solutions. BRS 2 Part Dosers are intermittent duty pumps and not meant for continuous operation. We recommend on/off cycles under a few hours to maximize lifespan. You will need two pumps in order to dose both calcium and alkalinity. 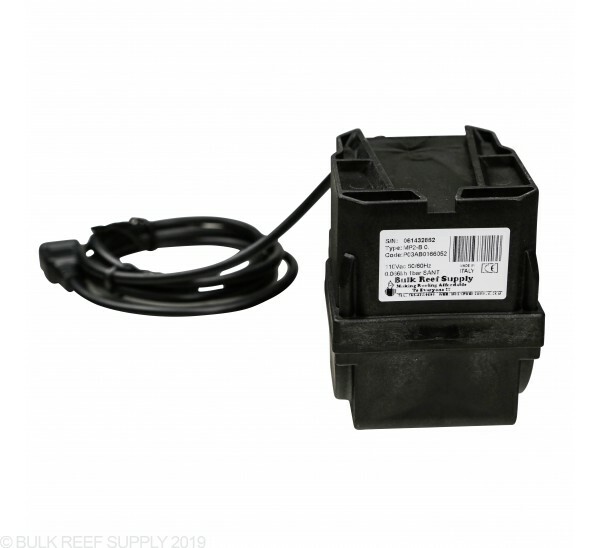 When used with controllers like the ReefKeeper or Apex, we recommend connecting these to a mechanical relay outlet, and not a TRIAC outlet on the controller's power bar. Dimensions - 4" x 3.25" x 4.5"
*On average BRS 2-Part Dosing Pumps will output 1.1mL per minute but may vary depending on your supply of power and what other equipment is being run off of the circuit. We do suggest running the pump for 10 minutes and collecting the liquid from the output to know how much the pump will dose in a 10-minute time frame. Simply dividing the total output by 10 will let you know how much the pump will dose per minute of operation. 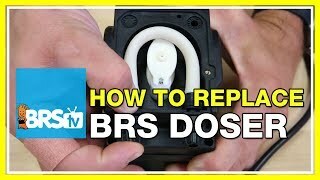 I just received my BRS Dosing Pump and all I can say is wow! I tested mine and as others have said it is not perfectly accurate at 1.1ml a minute, The one I got is exactly 2.0 ml a minute. This is not at all a problem, as I will be dosing Kalkwasser on a timer and will set my timer accordingly. This product is not only quiet it is extremely well built! Another positive is that this is a BRS product and am sure the will have no problems replacing a faulty part or issue. For the money, its hard if not impossible to beat! I bought one of these several yeara ago and it hasnt given me any problems. I bought a second one recently bc i needed a dosing pump that woukd dose at the same rate as the one I have. Needless to say the new one runs at a toraly different speed. The new ones doses more then 2 ml a minute opposed to the 1.1 that is advertised. Then there is no way to calibrate or adjust the pump so thr flow rates are the same. The pump is durable but if you need somethi g that is consistent over multiple pumps or adjustable dont use this pump. Bought this many years ago but tank crashed. Used it only a couple times, starting my tank back up and is not able to pull liquid. I purchase a new tube thinking it was related, WRONG! now it wont even pick up liquid. Go buy a aqua lifter and not this junk. I’ve been running two of these for a little over a year and work great. One doses 1.8 other 2.0. I check them from time to time(3 times sense I bought them) and they read the same as out the box. It’s not the 1.1ml but they stay accurate and that’s all that matters to me. Love them!!! This is a very well made pump. I have had it for 9 months and have had no issues with it at all. The pump is extremely quiet and works flawlessly. I'm dosing Kalk with it and have it set at 1.5 ml per min. set on a timer for 15 mins every 6 hours. Great pump and a great price. So far so good. Mine like others was putting out 1.8ml a minute but it has been working as advertised other than that. At times it can be a little noisy and others silent. Not sure why. I just received and calibrated four units to start dosing Triton Method. The pumps seem to be of good quality; really liked the mounting bracket. The quick setup guides by Bulk reef were a nice addition and well done. The only reason I didn't score five stars was all four units delivered considerably more than 1.1 ml/min. (1.8, 1.8, 1.92, and 2.0) It's not a problem because everyone should calibrate and not assume 1.1 ml/min delivery. Very easy to install and set up, and works as attended. So far I have three. I have 2 and they both are just over 2ml/min. The pumps are well made and I like the mounts. Would be a 5 star if better calibrated or advertised with accurate measurements. I agree with other reviews. Mine calibrated at 2ml/minute. very quiet pump. Been running for only 4 days now but so far so good. I love these pumps. I've had them up and running for about a month now and they have eliminated any fluctuations in my Alkalinity and Calcium levels. One thing that I wish they would advertise more is that these pumps do not necessarily run at exactly 1.1mL/min. One of mine is 1.8mL/min and the other is 1.7mL/min. Make sure you calibrate each pump before use and don't just assume they will run at the advertised rate! No the pumps are sold per pump. To have two pumps to dose two liquids you would need to purchase a quantity of two pumps. Is the pump tube replaceable? if so do you sell the replacement tubes? I received my pumps today. I noticed in the package was two different types of hose. One was clear and softer than the other which was not clear and more rigid. Is one hose meant for input into the pump and the other for dispersing the fluid from the pump? You can use either. The rigid tube doesn't bend as easy but holds its shape better, wheras the soft tube is easier to route around corners, etc but kinks a bit easier. Feel free to use either in whichever application is better suited. What size of tubing fits on this doser? And does the input tubing different from the output tubing? Input/output tubing are the same and both are 1/4" though its a compression fitting so its fairly forgiving if your close. Can you order more tubing? I'd like to relocate my dosing pumps and need new tubing. This stuff will do the trick just fine (most use clear). Hi Can this used to dose Vodka? I need dosing 0.1 to 0.5 ml a day. Please let me know what else to get for setting up this doser ? While this pump is very consistent in dosing, due to the rotational cycle, there tend to be natural pauses as the rollerblocks take turns in compressing the tubing, which results in variation in fluid dosing speed during a single 1 minute rotation. As a result, when run for full minute cycles, you'll see good consistency, but it will not be very effective at running for less than a minute when trying to dose very small amounts of fluid. For this, we would normally recommend a pump with a high precision stepper motor or at the very least a dosing pump with more than two rollerblocks, such as the Drew's Doser, in order to reduce the momentary pauses during rotation. How long is the power cord to the BRS pump? Great question! The power cord in 72 inches long. Feel free to let us know if you have any other questions! Most likely the issue is the tubing leading to the pump or the tubing inside of the pump is not air tight which allows the suction to break. You will want to inspect all tubing to ensure there is not air leaks for the siphon to break. These are intended for use int eh US and Canada with 110 volt. These will last quite a while from 3 years and up without over use or abuse. They come with a one year warranty. Currently there are replaceable tubing however no electronic or mounting replacements. Can this dosing pump be used to dose frozen food? It certainly can however depending on the placement of the tubing if you are not using a specially DIY fridge to keep the tubing from sitting in the open the pump will draw food and as it stops the food that remains in the tubing will begin to rot and cause big issues. You will want to checkout some forum posts on building a fridge with a venturi to grab the food into a separate feed pump which circulates in the fridge keeping the frozen food cooled until it enters the tank. Feel free to let us know if you have any further questions! It depends on what you are doing. Assuming you want to dose something like two part, this doser would be the best route to go because of the relatively small quantities being dosed. Do these pumps need to be calibrated before using? How is this done? Can this doser be used safely with Red Sea NOPOX? This can be used with a timer to dose a small amount of NoPox throughout the day. Feel free to let us know if you have any further questions! Mine does 0.75ml per minute. The output tubing side seems to get air bubble all the time (sometime fews, sometime alot here and there in 6" output tubbing), does air bubble in tubing affect the dosing rate? Will doser replacement tube help get rid of air bubbe and back to 1.1 ml per min dosing rate? I dont no anything about dosing, How do you know how much to dose? What to dose? How do you program it? Any other tips? The pump itself doesn't have any programming. It just doses 1.1mL for every minute it is turned on. You adjust how much it doses by changing how long a timer turns it on. As for how much to dose, what were you planning to dose? I am new to the reefing hobby. I dose 10ml of vinegar per day in my 40G tank to keep nitrates down. Could I use a pump like this while I am gone on vacation for a week? These pumps work great for dosing fluids like that on a daily basis! With a timer set up to control the pump, you should have no issues! What are the dimensions of this pump? 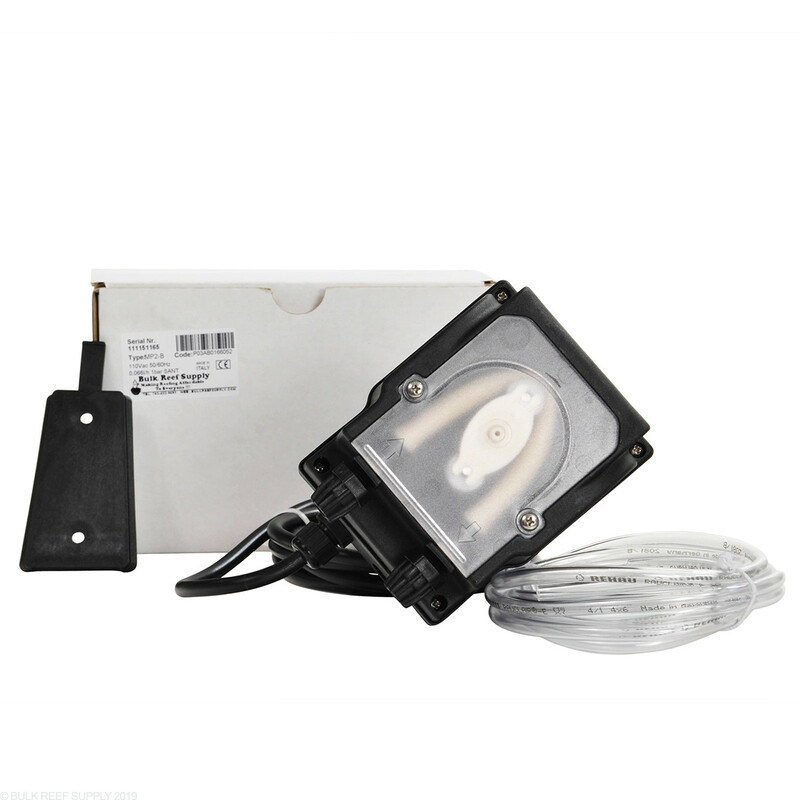 I bought these pumps with my reefkeeper lite, and I thought I would be able to connect them to it. It says not to, so what should I do? 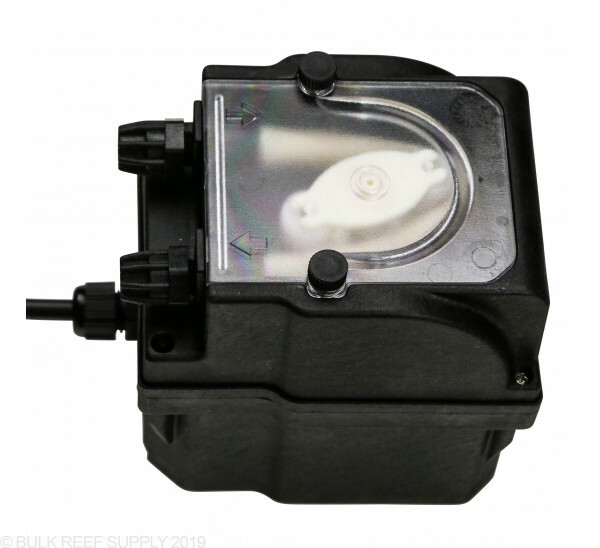 The dosing pump can be used with the reefkeeper as long as it is plugged into the relay outlet which has the ability to power the pumps. Feel free to let us know if you have any further questions! One of my dosers suddenly stopped working/rotating. I want to start from scratch- How do I "prime" the doser? I'm starting them over from scratch and don't have the instructions anymore. To prime the pumps you will simply attach the full amount of tubing from the container to the aquarium, You will then turn the pump on and allow it to fill with the solution. Once the solution starts coming out the other side you will want to run it for a few minutes to remove and air gaps. Keep in mind this can take some time and we recommend pumping it into another container instead of the tank itself. 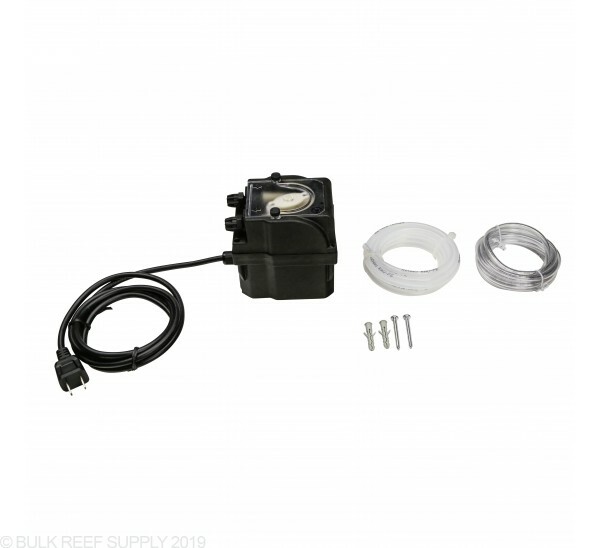 I have the nano cube 28 with stand, and was wondering if I could place the 2 part solution in my stand, and have the pumps deliver the water into the sump area of the back of the nano cube. The water would need to be pushed about 48 inches up. Thanks! These pumps can pump up to 20ft of head pressure. Going up from the stand to the tank would be no problem at all! Do these have timers? How would you define when & how much to dose? These pumps do not include any sort of timer. They will need to be controlled with a digital timer capable of operating at 1 minute intervals (or less) or an aquarium controller like the ReefKeeper of Neptune Apex. Here are the digital timers we carry. The dimensions of our 1.1 ml/min and 50 ml/min dosing pumps are 3 1/4" W x 4" H x 4" D.
The mounting plate should allow for flush mounting on the wall so the depth measurement will remain the same. How do I tell when the pump's life has expired and it is no longer working? How will performance change over time? The physical motor will last a long time and as long as it is spinning it will work well. The surgical tubing inside however may wear down and crack. If the pump is ever not able to draw liquid up you will want to inspect and replace the tubing inside. Additionally over time this tubing will stretch and change the amount of liquid dosed and measurement will need to be taken to test how much it is dosing. This can be a s simple as taking the tubing out of the tank, turning the doser on for 10 minutes and measuring how much liquid is dosed in 10 minutes. 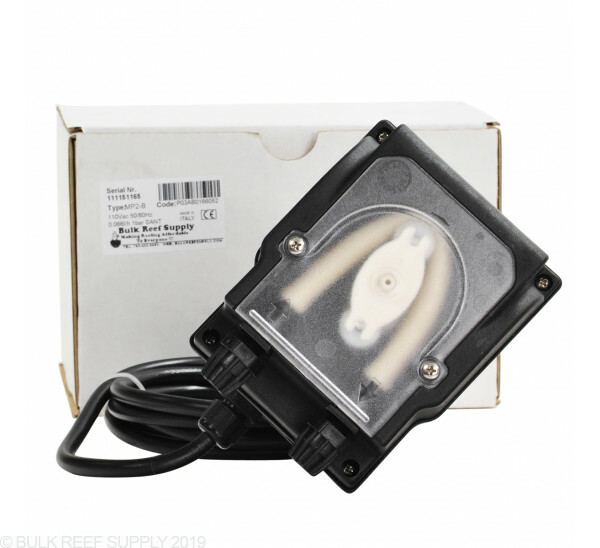 Under the full details tab for this product, the following statement is made " When used with controllers like the ReefKeeper or Apex, we recommend connecting these to a mechanical relay outlet, and not a TRIAC outlet on the controller's powerbar. " What does that specifically mean? I don't what a TRIAC outlet is and if it is not connected to the powerbar how does the controller turn the pump on or off? 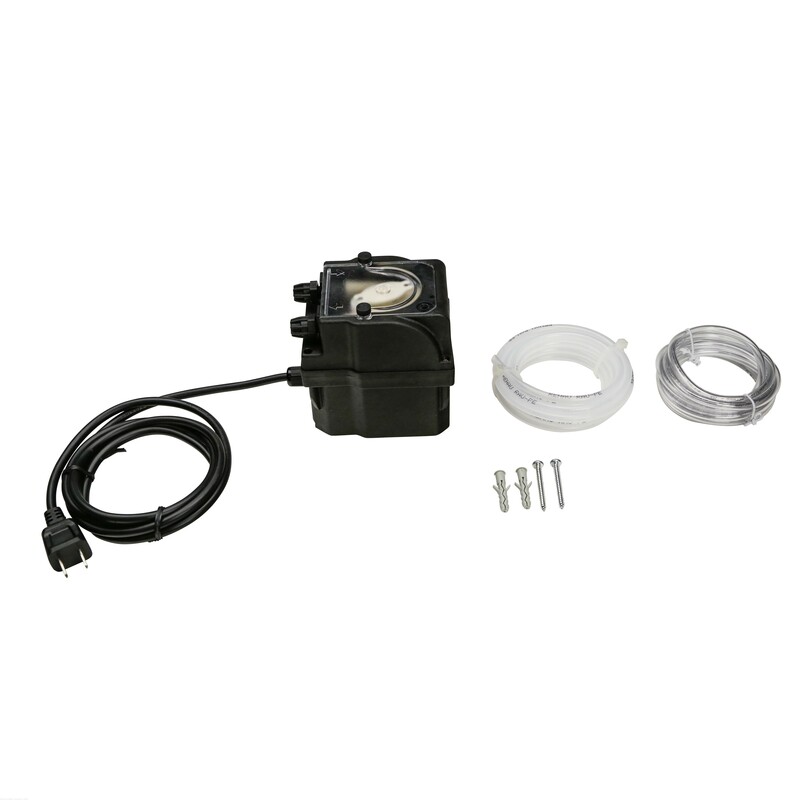 The 1.1 mL Dosing pumps will need to be physically plugged into an outlet to turn on. With some aquarium controllers they use different types of outlets to turn the outlet on and off. TRIAC switches can switch power very quickly and silent, where a relayed outlet makes a clicking noise and takes about a half a second to react. 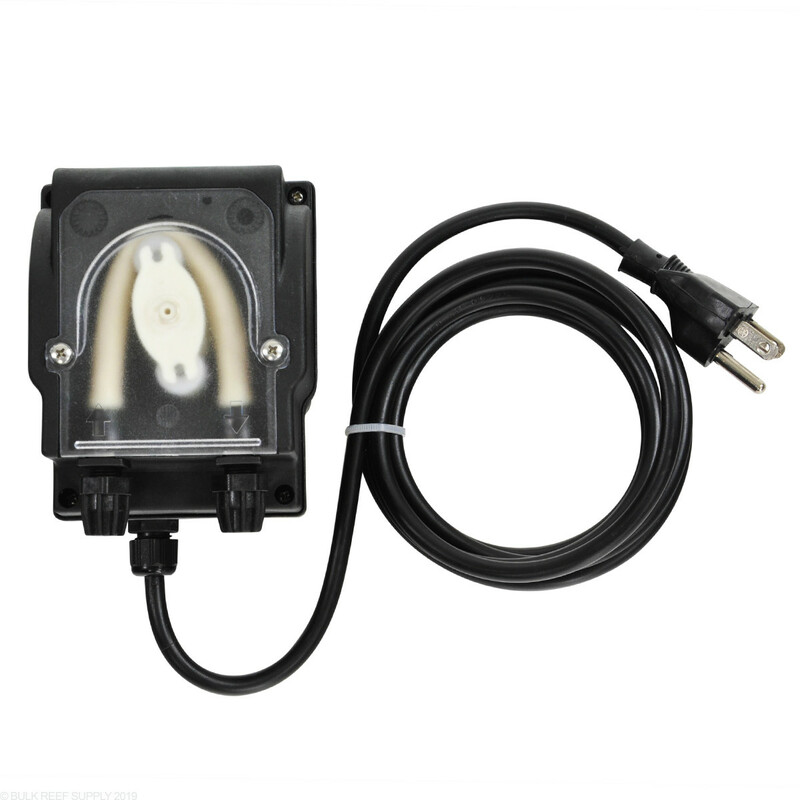 TRIAC outlets can have a hard time detecting power and turning the dosers and other low power consumption items on and off reliably, where the relayed outlets are very reliable for almost all items. If you don’t have an aquarium controller it shouldn’t be a concern since most digital and analog timers are going to be relay driven. If you are using an aquarium controller just refer to the controller’s manual to know what outlets are TRIAC and which are relayed. 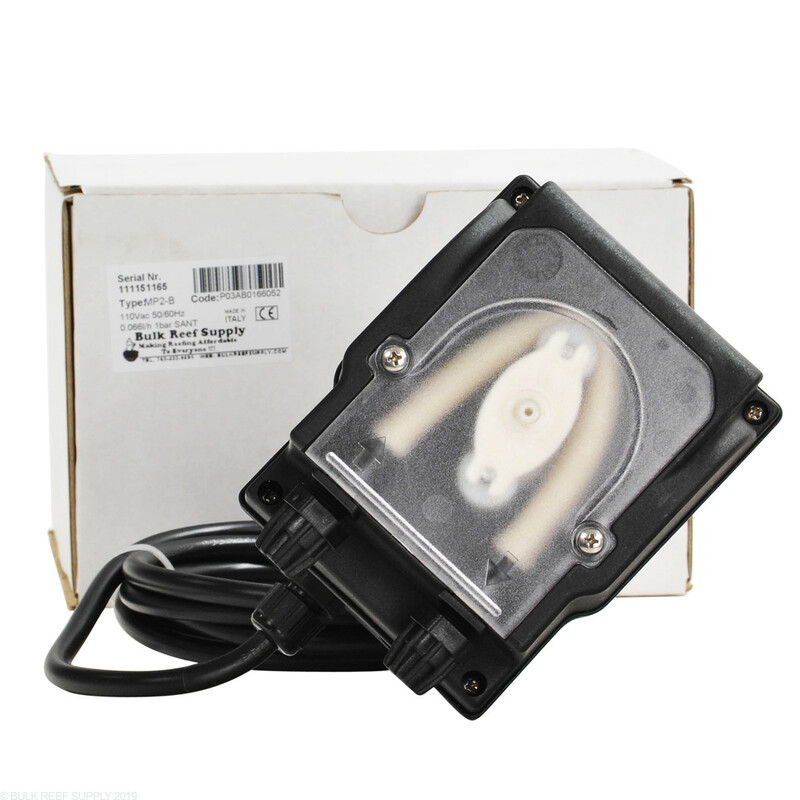 In the description above "When used with controllers like the ReefKeeper or Apex, we recommend connecting these to a mechanical relay outlet, and not a TRIAC outlet on the controller's powerbar." The Apex 2016 description says that all outlets on the power bar are relay: "This means that we could now switch all AC outlets to relay switching." Could you clarify for me? 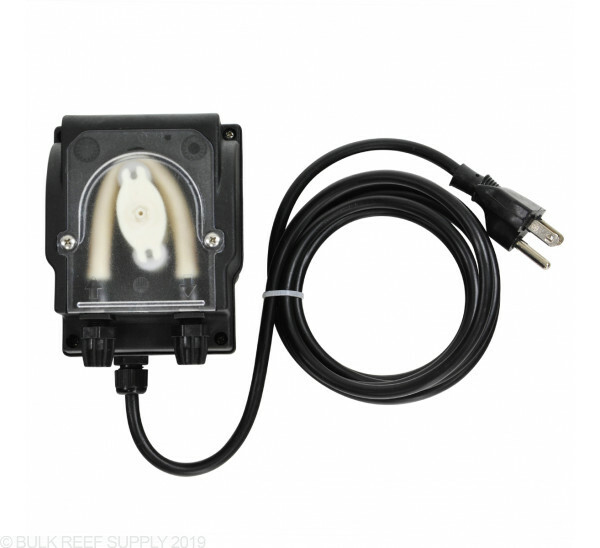 All of the outlets on the new EnergyBar832 are relay driven where the outlets on the EnergyBar8, EnergyBar4, and the Reefkeeper PB4 are a mix of TRIAC and relay. With low power devices like the 1.1ml Doser, or other small pumps TRIAC switches may not work properly and should be plugged into relay switched outlets. Can the doser be mount below the end of the dosing line? I am planning to place me dosers under the tank and the outlets of the doser to the main display tank...which is above the doser level. After calibration one of my pumps doses 1.9ml per minute and the other 1.7ml per minute, not the 1.1 as indicated. Looks like others have had similar findings. Is this variability expected with this product? Variability is to be expected with dosing pumps and the 1.1 mL is an average rating of the pumps. Overall it is best to measure the flow to find the accurate dosage depending on power, lifespan of the tubing and several other factors. Often remeasuring once a year will help to keep the flow accurate. I need to run this pump about 300--480 minutes per day? Is this too much? Whats the max number of minutes on and then min. number of minutes off if you are going to run this schedule all day? I just got a dosing pump and was wondering if there was a maximum height that I can mount the pump in my stand. I currently have it mounted about a foot above my container of dosing solution. That won't be a problem. 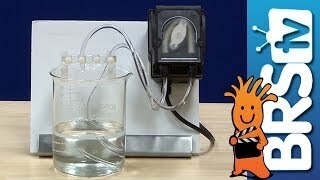 The pump shouldn't have any issue pulling solution up anywhere within a normal sized aquarium stand. 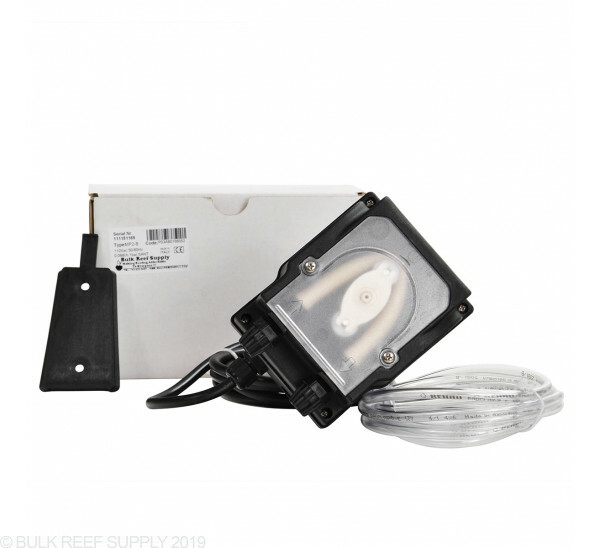 Does the BRS 2 part doser draw enough power for the ReefKeeper PC4 module to reliably shut off when connected to channels 2 or 3 or should it be connected to channels 1 or 4? In most applications it is but I would still recommend using the relay outlets on 1 & 4 just to be safe!